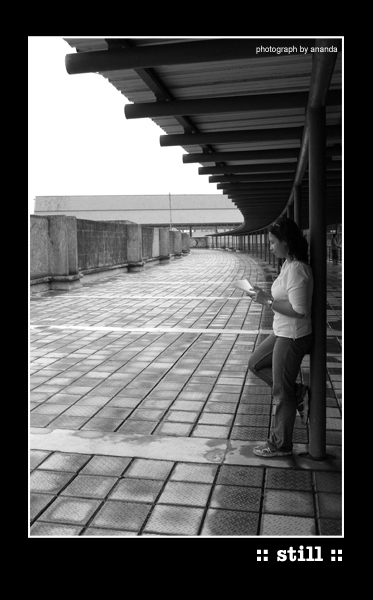 I took a picture of my best friend while we're waiting in Soekarno-Hatta Airport..
very nice lines . and very good composition. the tonality is top notch and also very good framing.